Consumer Reports has designated three baby strollers as Don’t Buy: Safety Risk based on recent lab tests. 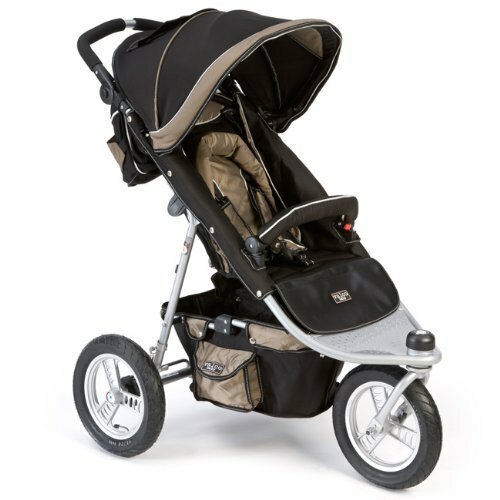 The three models include two all-terrain strollers, Valco Baby Tri-Mode, Tike Tech City X3, and one jogging stroller, Tike Tech X3 Sport. All three models have a grab bar at the front of the seating area. There are gaps big enough to allow an unharnessed child’s torso but not the child’s head to pass, or “submarine,” under the grab bar. The child’s head could become stuck, causing serious injury or death. Consumer Reports recommends that children always be harnessed in strollers, high chairs, and car seats to prevent injury. The current voluntary stroller standard of the American Society for Testing and Materials requires that if a space beneath a stroller’s tray/grab bar can permit a small child’s torso to pass through, it must also be big enough to allow the child’s head to pass through. Those three strollers failed CR’s test of that standard, and results were confirmed by an outside lab. If you have any of the strollers, we recommend that you remove and discard the grab bar. CR contacted the manufacturers about its findings. Valco Baby’s national sales manager, Shalom New, said that the stroller we tested was an older model and that the newer Tri-Mode EX has a grab bar with only two positions (fully up or fully down). When we performed our test of the ASTM standard on an EX that we purchased, it also failed. Tike Tech’s president, David Ambar, predicted that an “improved version” of its strollers would pass the standard. We will test those strollers when they’re available. Both manufacturers told us they had not received any reports of children being injured by the grab bars of the strollers. From 1995 to 2008, the Consumer Product Safety Commission reported 10 infant deaths associated with submarining, though they don’t identify the strollers involved. Please tell a friend. If you’d like to see the full report click here.